Mounted prints in sizes A1 and A2 are not available for delivery to addresses outside the UK. The prints are supplied as large format prints, printed using cutting-edge printers. We use archival-quality, heavy-weight media and original pigmented inks to ensure the widest possible colour rendering and long-term lightfastness. Prints pass through our fully colour-managed workflow printing system, using a “on the fly” Spectroproofer powered by X-Rite for accurate colour management. Please note: Mounted prints are not resized, the mounting process can cause some of the edge detail of the image to be obscured but our technicians will try to ensure minimal loss. The unmounted prints are supplied as large format prints, printed using state-of-the art Epson SC8000s. We use archival-quality, heavy-weight media and original Epson Ultrachrome HDX pigmented inks to ensure the widest possible colour rendering, long-term lightfastness. Prints pass through our fully colour-managed workflow printing system, using a “on the fly” Spectroproofer powered by X-Rite for accurate colour management. Usually dispatched within 10 - 15 days. 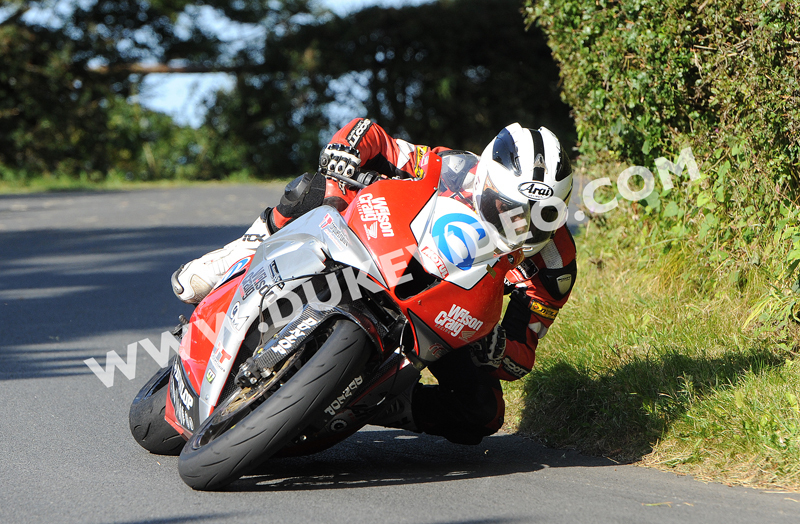 William Dunlop demonstrates his absolute commitment in this awe-inspiring photo by Gavan Caldwell. Riding the Wilson Craig Honda, William Dunlop is using every inch of the Oliver's Mount circuit, Scarborough, during the 2012 International Gold Cup.